If you are done with the sightseeing in Miami and want to spend your free time doing fun activities, check this top 3 must dos in the city! Miami has got much more to offer than the sandy beaches and nonstop parties. The geographical location of the area is the also the center for a distinguished wild life and you can make the most out of it when you are there. A safari in Everglades also provide a getaway in the middle of the nature and will refresh you since you are going to see animals in their natural habitat as well with the shades of greens and browns you have never seen before. Everglades is actually a wetland in Florida. It takes approximately and hour to drive there from Miami city center. So if you have a free day you’d like to spend hand in hand with nature, this is the perfect place for you. It is common among the visitors to sign up for a tour or a safari in Everglades. 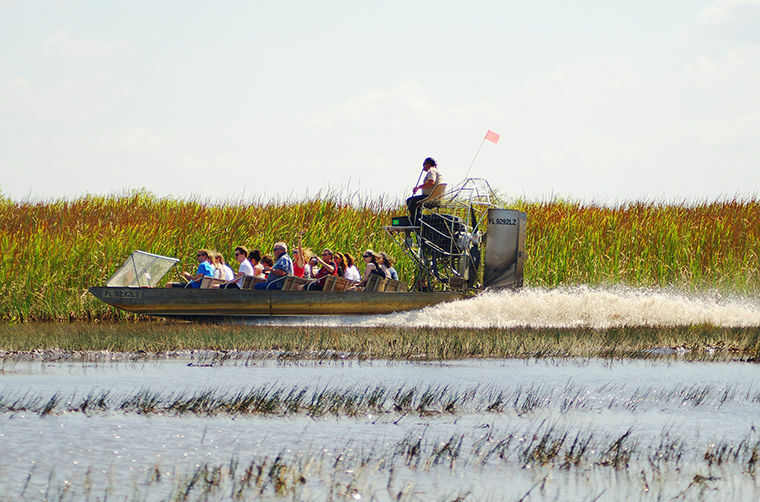 These typically include an outstanding ride on an airboat. The guides are inform the visitors about the ecology of the place as well with its history and changes that have taken place since back. Everglades is also a great chance to see alligators in their natural habitat. If you are lucky, you can even hold a baby alligator in Everglades. If you consider visiting the place, you can check out the official website of the park to get more detailed information about the opening times as well with the guided tour options. This is one of the other places in Miami you must pay a visit if you like learning more about the wild side of the life. The Zoological Wildlife Foundation has been chosen as one of the most influencing places in Miami and is visited by thousands of people every year. The main aim of the foundation is to educate public about the wildlife and help saving endangered species while making it possible for visitors to get in touch with the animals. It is a five-acre facility where every inch is filled with nature’s mind blowing touches. The guided tours are highly recommended in Zoological Wildlife Foundation. The staff of the places is known to be very knowledgeable on what they are doing and friendly. You are not only going to learn loads of new stuff about this very unknown side of nature and get the opportunity to interact with some of the animals, that including their Amur leopard called Vladimir, whose specie is critically endangered. There are only 29 other Amur leopards in the world other than Vladimir, unfortunately. The official website of Zoological Wildlife Foundation gives detailed information about the visiting hours, directions, fees and every other detail that may be useful for a delighted trip. If you enjoy cigars, this is the place you should check out before you go home. Actually, even if you don’t enjoy cigars, this is still a place to see before going home since it truly represents the soul of Cuba and some of the most beautiful examples of the world wide famous Cuban Cigars. Located on 1501 Southwest 8th Street, Little Havana Cigar Factory usually welcomes you with the charming smell of the freshly brewed Cuban coffee. The staff explains the making of process of the cigars, so it is also an informative past time activity to do in Miami. In addition, the prices of the cigars are reasonable, even if you are not smoking cigar, one can be a special gift to a beloved one of yours.